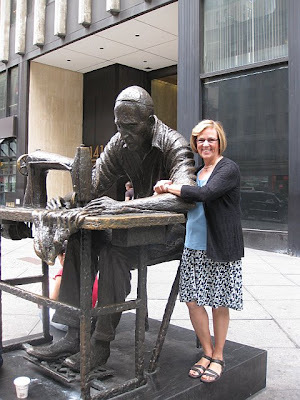 Gertie's New Blog for Better Sewing: What a Year! I was going to post something about, you know . . . sewing today. But then I took a little trip down memory lane in my photo album, and I just felt like sharing these. I hope you don't mind! We went to Hawaii, and I met a Hawaiian cat. We adopted a new family member. 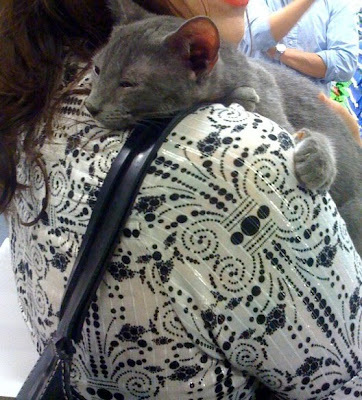 This is the first time I held Henry! He was a pathetic, skinny little thing. A cab driver found him living on the street! But he picked up sewing pretty quickly. Is it just me, or does Jeff get more handsome every year? This is a summer day spent in Central Park. I started a blog! Remember this little number? 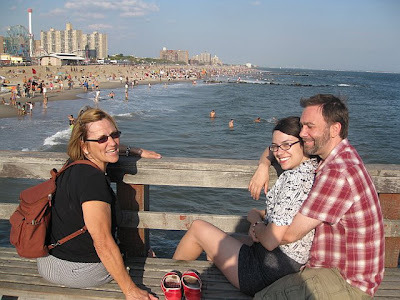 My parents came to visit in August! 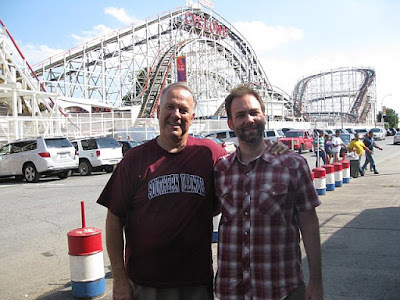 Jeff and Dad rode the Cyclone in Coney Island, and lived to tell the tale. Mom and I stuck with the carousel. 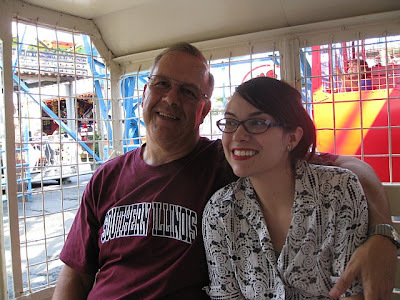 Me and Dad on the Wonder Wheel. Mom and I went fabric shopping, of course. 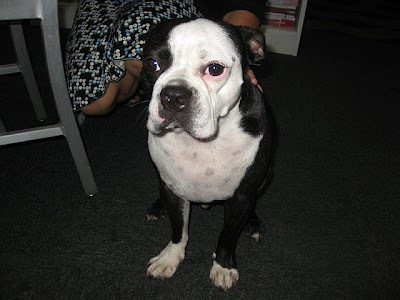 Mom met Swatch, Mood's friendly mascot. 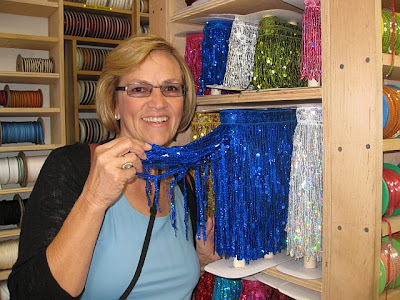 And then she marveled over the selection at Pacific Trims. They don't have stuff like this in Cottonwood, AZ! 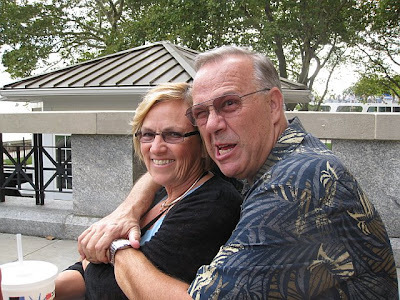 Mom and Dad celebrated their 40th anniversary in June. How cute are they?! I got a fabulous job. 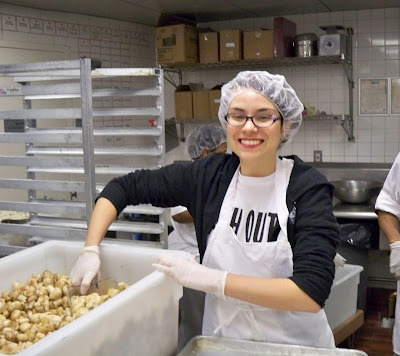 My wonderful coworkers and I spent a fun day volunteering in a soup kitchen. Here's what I look like in a hair net, if you're curious. This is what I looked like a lot of the time. My right eyebrow grows down, instead of into a nice arch. I should really do something about that. Some sort of eyebrow gel, perhaps? What a year, indeed. Thank you all so much for being a part of it! Awww Sounds like you had a great year!!! Sounds like a great year! And I love the kitties! Wonderful memories. You two look so happy together. Thanks for sharing. So glad to have "met" you during such a banner year, gorgeous Gertie! What great photos and memories! Thanks for sharing them with us! Great photos from a great girl with a lovely family and cats! May the next year be as happy and as productive as this one! What a lovely post! You have indeed had an interesting year. Thanks for inviting us to be a part of it! Love your pictures, what wonderful memories. I'm glad I found your blog! heartwarming pics - thanks for sharing! I got teary at the Henry story though - would have done the same and taken him in. Oh, I love Henry Higgins even more now that I know his story. Thank you for sharing and Happy New Year. Your dresses are knock outs! Good post and great year, baby! Love you! You are so cute and your eyebrows are perfect! Thankyou for the blog this year. When did you start it? I just found you a couple of months ago and love reading. I learn so much and enjoy your way of teaching. So lovely to see all your pics of family and furry friends. Hope next year is equally happy and successful, with enough time in the day for your daily staple of sewing and blogging! What a nice look back over the year. I love your version of the macaron dress. I bought the pattern the other week and it arrived yesterday. I can't wait to make it! Thank you for having us! Your blog has been wonderful. I love it. Thank you for sharing. Thanks so much, Gertie, for sharing your year with us! 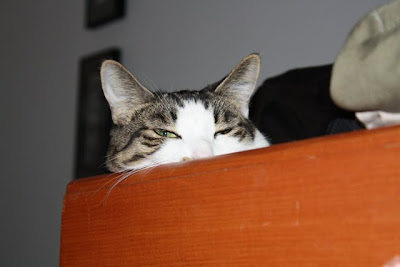 I'm a blog-reading fiend, and yours is such a gem (as are you). I've been tossing up starting my own sewing/ vintage blog for a while (having been struggling with semi- unemployment, and using my sewing/ designing to ease the tediousness/ trama). So, until then, thanks for the inspiration! I LOVE your blog! Fresh and sassy and full of inspiration! Thanks! Love the family photos and the pictures of Pip and Henry. 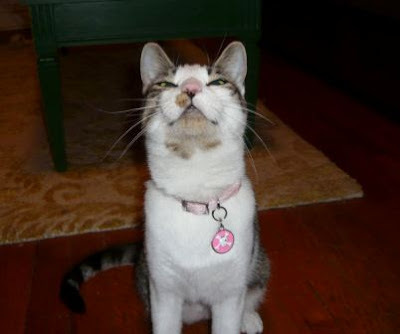 Thanks for sharing your home with a stray cat. A nice year end blog post!! It has been fun getting to know you in blog world! Sounds like a full year, to me!!! :D (With lots of sewing: something that is always proven to make a year that much better, imho. ;) I enjoyed reading all your comments and looking at the photos! ANyway, thanks for sharing this gallery with us, as well as your experiments. I find them very inspiring. What a fabulous year! Thanks for sharing and starting your fabulous blog. I look forward to every new post and I'm sure there's a bit of a following here in Australia. You're a great poster girl for bringing back sewing in a cool sassy kinda way. Have a great Christmas and I look forward to more of Gertie in 2010. I'm loving your blog from Australia. I love the information, humour, pictures and just the right amount of 'you' and your life that you put into it. Merry Christmas Gertie and a Happy New Year. Hope you have a wonderful Christmas and an even better 2010. I look forward to reading about your sewing adventures next year too!! Seems you guys had so much fun in 2009. Fully enjoyed it. Great... Hope you enjoyed next ones as well..